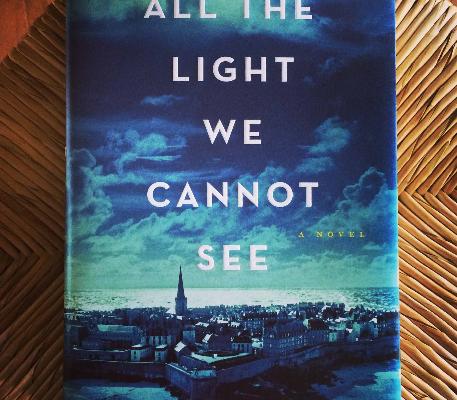 Before I even knew what the book was about, I was captivated by the title, “All the light we cannot see.” To me, it sounded philosophical and mysterious and I instantly wanted to know more. So, when I read the back cover, I was not surprised to read the words “Nazis invade […]” in the fourth sentence. Somehow, I am always drawn to – and always end up buying – books on the Second World War. This book was no exception. Was my fascination with the title grounded though? Let’s find out. The main characters in this book are Marie-Laure, a blind girl living in France and Werner, a white haired, orphaned German boy. We get to know them during different stages in their lives as the Second World War and their lives unfold. The book starts a few days after D-Day, but after a couple of pages we are taken back to 1934. Marie-Laure and Werner are both kids and they are living completely different lives. Marie-Laure lost her eyesight and her loving, dedicated father stimulates her independence by building models of the area they live in, so she can memorize it and learn how to navigate. Her father, locksmith at the Museum of Natural History, guards “the Sea of Flames”, a diamond that is believed to offer immortality to its owner, but causes harm to anyone the owner loves. The malicious German Sergeant Major Von Rumpel goes looking for the diamond, which leads to all sorts of adversity. In my opinion, this storyline would have been better if the diamond was merely a valuable item, without having special powers attributed to it. The fairytale-like notion feels out of place, as it doesn’t suit the rest of the story. 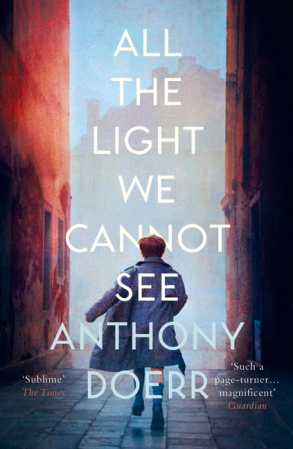 The other main character, Werner, grows up at an orphanage, run by a motherly, sweet Protestant nun. He finds a broken radio and by repairing it quite quickly, he discovers he has a knack for technology. This particular skill eventually leads him to an elite Nazi school, where he is taught to be tough and to never expose any weaknesses. He specializes in trigonometry and uses his knowledge to locate illegal radio broadcasters after he graduates. Later on, his team is assigned to go to Saint-Malo, which happens to be the place where Marie-Laure lives and where she carries out her resistance duties. As you can probably assume, their paths cross and yes, love is involved. Don’t be fooled though, this does not mean that the story turns out to be a sappy love story. A common thread throughout the book is ensuing tragedy. However, there is also light that we cannot see. The structure of the book is not standard. It is comprised of five parts, and many, many chapters that are only a few pages long. Perfect for someone who only has small amounts of time to read or well… people with a very short attention span (that’s probably not you as you are apparently still reading this review). The small chapters allow the story to switch between the main characters very often. It enables you to get familiar with the both of them quite quickly, but on the other hand, it does affect the flow of the story. The intermissions feel like the entire book is made up of miniature cliffhangers. Doerr’s writing style is detailed and uncomplicated. His book is filled with quote worthy sentences such as “Open your eyes and see what you can with them before they close forever”. However, I do wonder if the story really needed all the 530 pages, for starters he could have left out half of the adjectives he used. Moreover, perhaps it goes without saying but as a Holocaust and Genocide scholar I cannot stress this enough, don’t expect the book to be completely historically accurate. This is especially true because he tries to combine several themes in the book, such as the scientific- and natural world and fable (of course all against the backdrop of the Second World War). The fact that the book is not completely realistic is not a problem though, as it is a novel and it does not pretend to be a anything else. Overall, I would recommend this book and the title was correct to fascinate me. It illuminates the complication with a dichotomy like “good and evil”, it’s bold – especially because one of its main characters is with the Nazi party, it’s eventful and above all it’s a page-turner.